Get an ‘As Is, CASH’ Offer for your House Today! as 30 days. Do you need to close sooner than 30 days? Don’t worry, we have a network of investors that can close in as little as 14 days! Want to sell but need more than 30 days? No problem, you can choose any closing date that works for you. We are often asked if we can just buy a house, and to most people’s surprise the answer is YES. 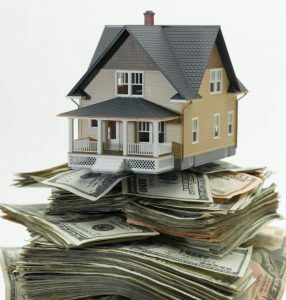 Some of the reasons that we are asked if we can just buy a house include: getting a divorce, property inheritance, can’t afford necessary repairs, impending foreclosure, or a job transfer. Do you need to sell and are asking yourself these questions? How will I ever get this property ready to sell? Do I have thousands or even tens of thousands of dollars to repair the property? How can I just sell this property quickly with no hassle? Do I really want strangers always walking through my home? How will we sell this property that we inherited quickly, so the family doesn’t get into a disagreement? Do I really want to keep my house clean for the next few months while it is on the market? We have purchased properties all around the Huntsville and Madison area and would love to help you out with yours. How do I get this started? Buying a house was so much easier than I expected! The real estate team walked with me through every step of the way, which was very important since this was the first time I tried buying a house. From the start, Allie made it very clear that my happiness and financial well being were her number one priority! This wonderful company was extremely helpful with the purchase of our new home! We worked with Whitney, she is very professional and personable and now good friend. She always made time for us when we had questions or wanted to look at more houses. We would highly recommend her!